Over the years many businesses have ventured into creating apps to reach a wider audience. According to a study, mobile users spend almost four hours a day on their mobile phone in 2017. Impressive, right? This attraction to creating apps could also be due to the fortunes made by many app developers such as Mark Zuckerberg, as well as the demand for more apps over the years; studies have shown that there was an increase in the demand for app development from 23% in 2014 to 32% in 2016. Although the app world has been oversaturated, that doesn’t mean that there is no more room for newer innovative and educative ones. Like any other business, you need to focus well on the marketing processes and let your professional partners take care of the tech aspects. 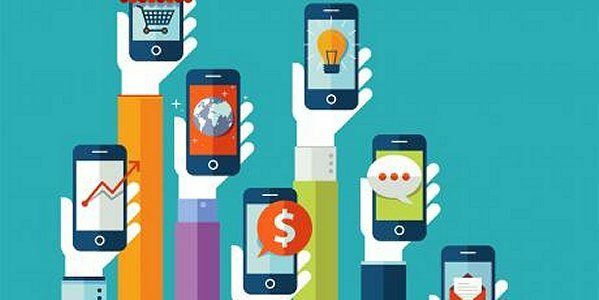 Here are a few tips on how to start your app business. The fundamental foundation for you venturing into the app business is having an idea; many developers will say 5% of the success lies in having a good idea. Just like any other business, a niche or unique idea is required to push the business forward. However, the idea may not be as good as you think it is not researched thoroughly. For example, according to a study 90 million Americans use mobile payment apps; so this could mean there is a high demand to pay online using apps. Market research is all it takes to determine if your app business idea is in high demand. For any business to strive for greatness, there must be a business plan on the ground to propel it. The app business is a very dynamic and competitive one. A business plan should contain tactics and strategies; so it’s good to start with a short-term plan before going into a long-term one that requires lots of experience and exposure which you get along the way. A plan should be simple enough in describing your main ideas and the significant steps of achieving them, as well as information about your expenses and the most important steps of recovery. Plans shouldn’t be complex and complicated, so keep it simple. Making use of the right platform to showcase your app business is paramount. In the past, developers had to choose between a Blackberry, Symbian, Window phone, iOS, and Android phone to showcase their app but things are a lot easier now. This is because only the last three options mentioned can really be considered as the right platform to showcase your app. In terms of creating brand awareness and advertising your app business, Google Play and third-party Android stores remain the right platform. However, in terms of increasing revenue, Apple App store takes the lead. An excellent and awarding app project may require a healthy sum of money for funding. Having your great idea and the enthusiasm of venturing into the app world is a breakthrough, but the real work starts with raising that cash. The easiest way is to borrow a payday loan. There are many payday loans online direct lenders only, however, you must also have an ideal business plan because some lenders will surely listen to it. The pricing of the type of app you want to create should be considered. Whether free or paid, counting your cost before launching your app is essential. This is where monetization comes into play. You should note that many users already have access to free apps so you should propose an app that is worth paying for. One way of monetizing your app by having a Pro-Version of it. This can be done by adding advertisements, direct selling or in-app purchases. Marketing is essential in the promotion of products and services and apps are no exception. Once your app is ready, the next step is to think of the possible avenue to promote it. This can be achieved using the social media channels like YouTube, Facebook, Snapchat. With such channels, the commentary is very important in your product promotions where you let your users know more about your app. Creating a website also becomes an essential part of your business; not all users will get every product details on social media but with the website, most users will be eventually covered with the knowledge of your app and how it all works. It is advisable not to dive into the app market with a totally ready app that’s suicidal; there may be a risk that your app may need improvement as times move on, or users may not like your app. Now imagine that all the time, effort and money invested in creating the app is a total waste. In order to avoid this, the best decision is providing an interactive prototype which includes the main features of your idea and the fully designed visual framework. The interactive prototype acts as a test drive for your app which the users and also investors can work with. Essentially every user needs new details about a product, therefore you must constantly upgrade your products and auditory. Users wouldn’t want an old-fashioned app presented on their mobile phones. So, be ready to pay for new additional features to your app and any other maintenance or improvements issues that may arise in the near future. This phase involves more team building and looking for trustworthy partners to join you accomplish your visions. You might require the services of coders, copywriters, and photographers. Don’t go searching for freelancers but the major priority should be partners for long-term cooperation and people that are an embodiment of your visions. When starting an app business, it can be very competitive and requires lots of research. By writing up a business plan, you will be able to determine your niche and if there is a demand for the service. With the help of the above tips, you will not only be able to start app business on a budget, but you will also be able to have a clearer direction as to exactly how to execute the plan and the direction it is heading to sustain itself in the future.